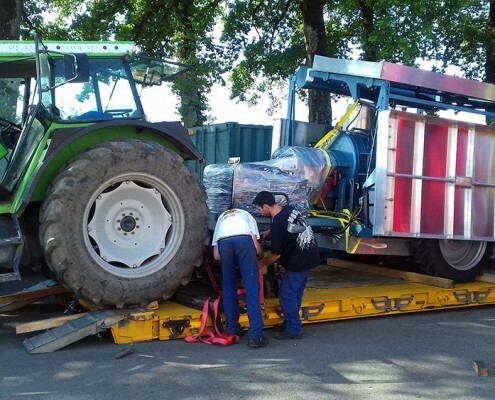 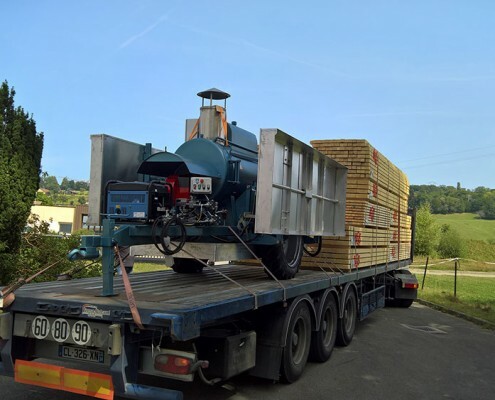 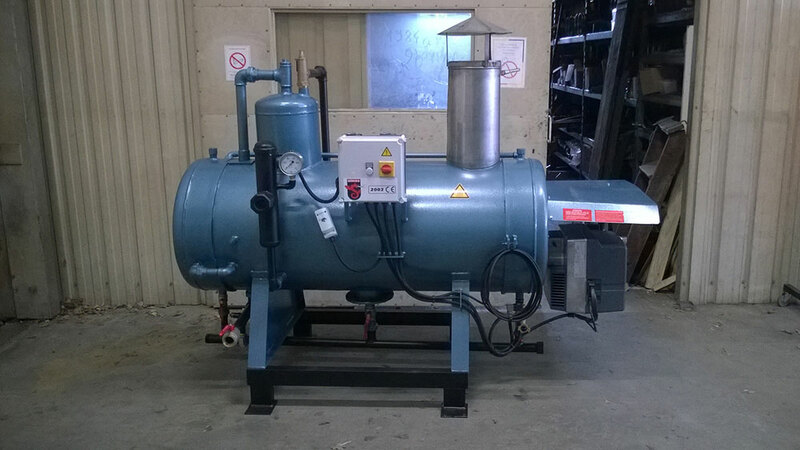 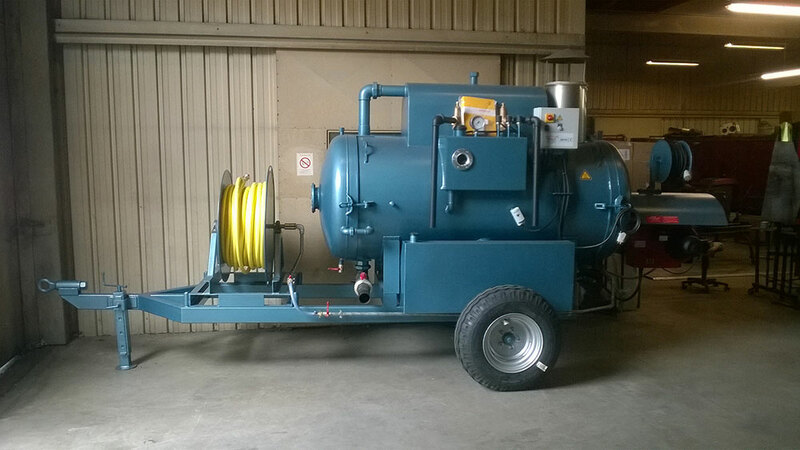 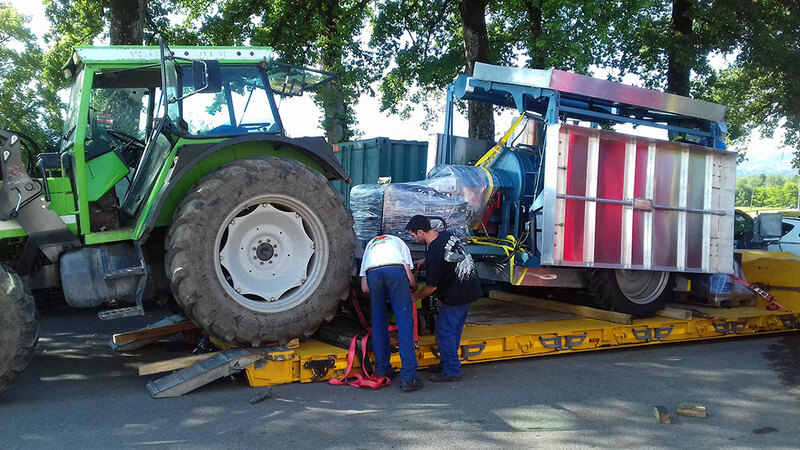 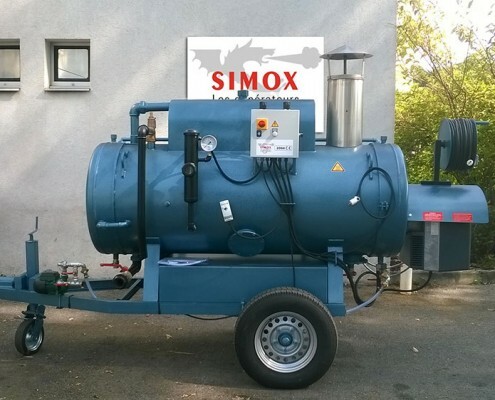 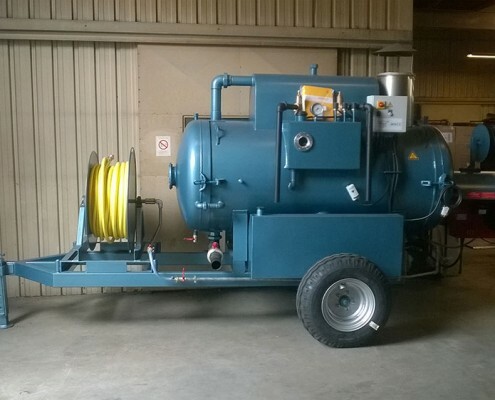 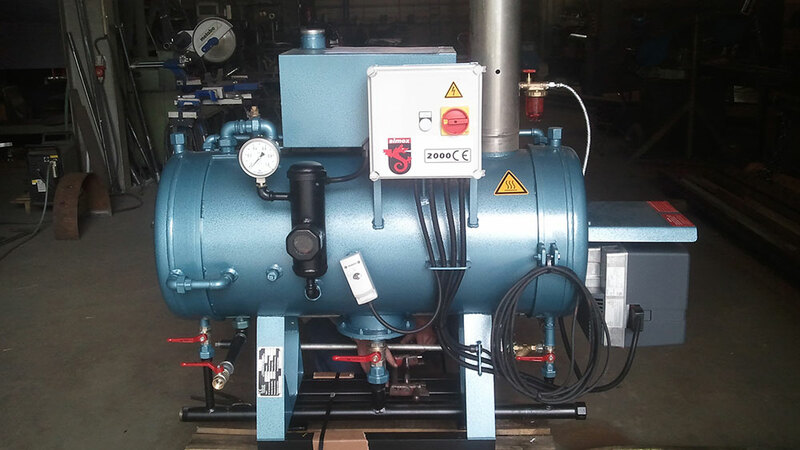 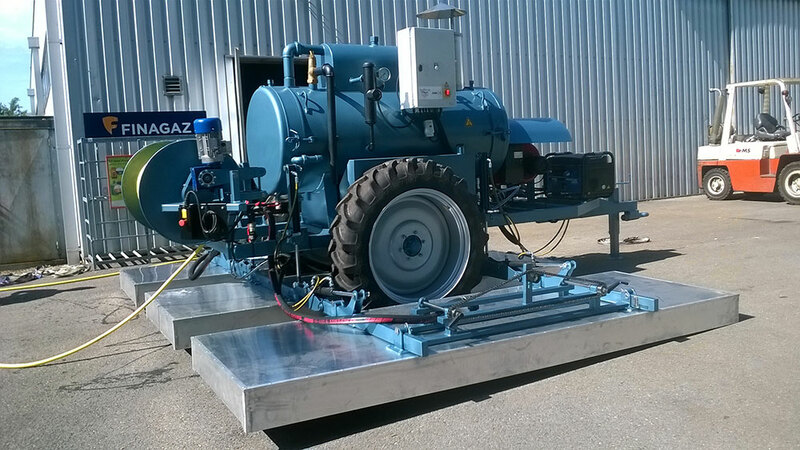 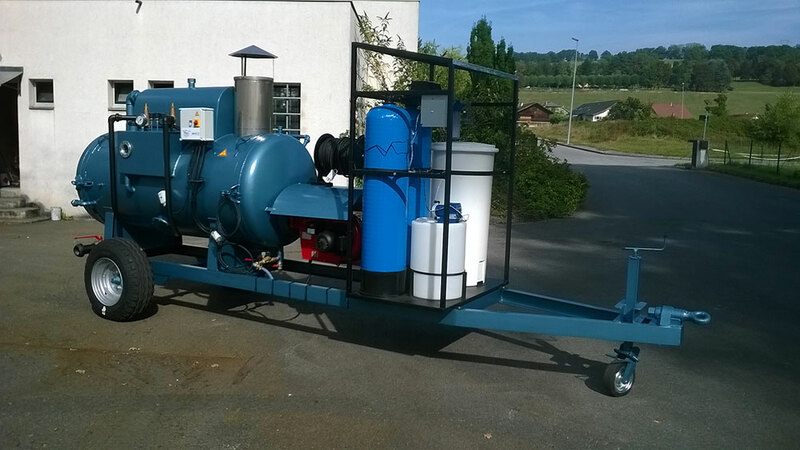 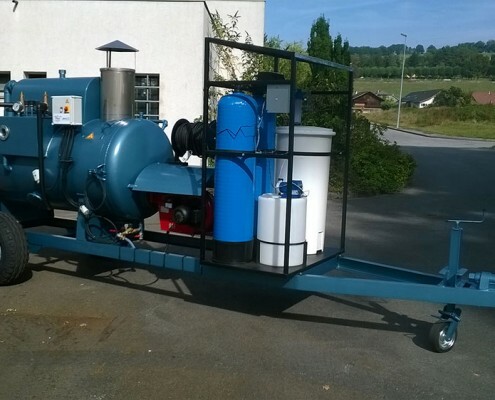 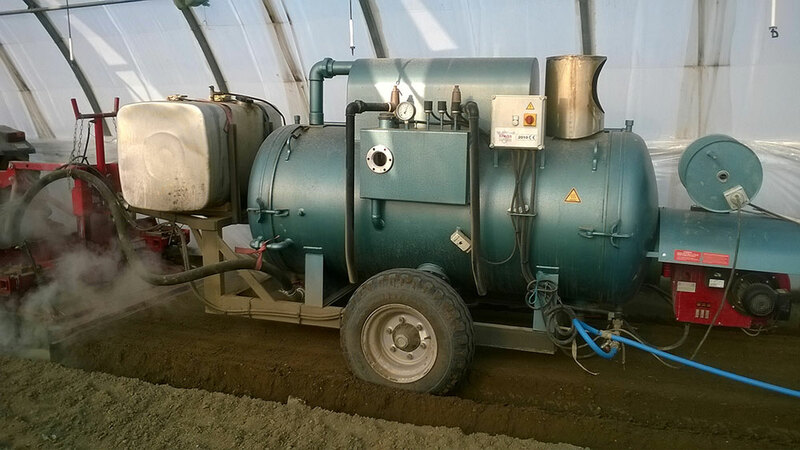 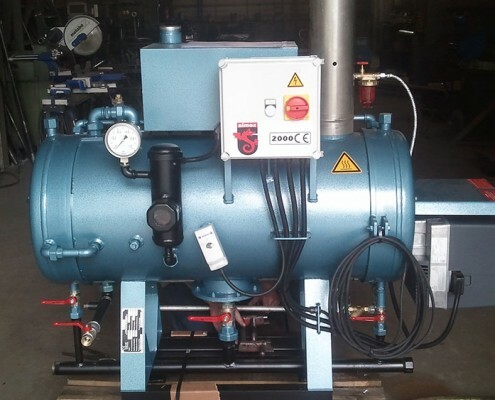 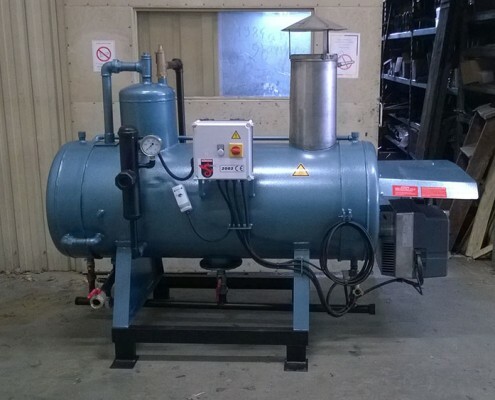 In order to answer various needs for professionals in agriculture, green spaces, construction and other industries, SIMOX proposes a range of low-pressure steam generators in either a fixed or mobile version from 30 to 2000 kg/steam. 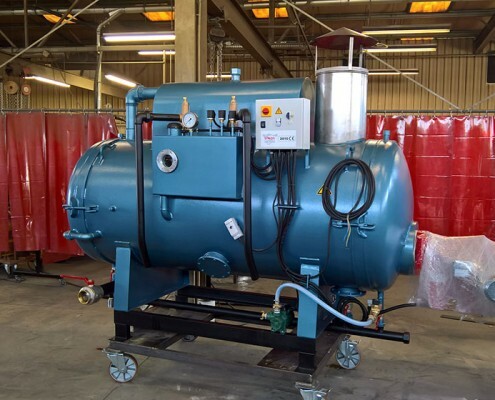 These are low-pressure, superheated steam generators, which means that the steam is produced at a higher temperature than the temperature for a change in the state of the water. 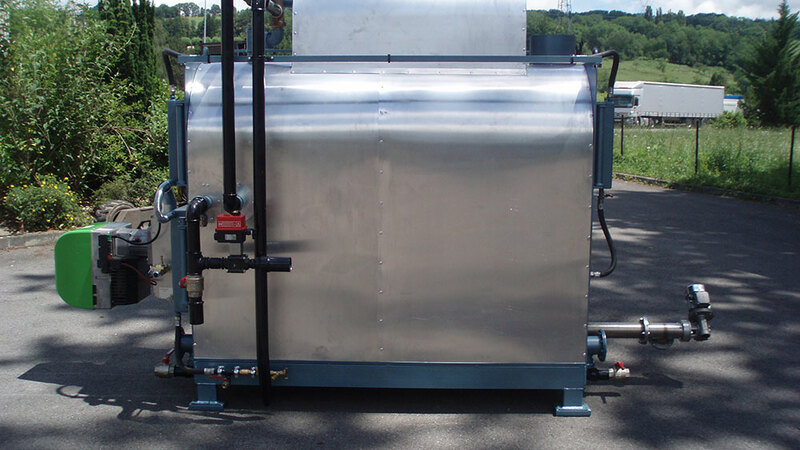 The steam can therefore be transported without its state being modified. 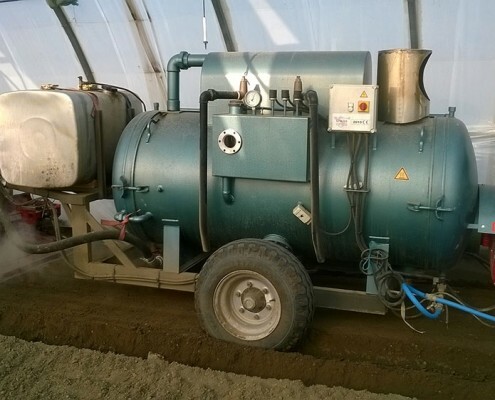 Effectively, the major part of the energy will be liberated with the change of state which should take place when used (in the soil, not in the feed hoses). 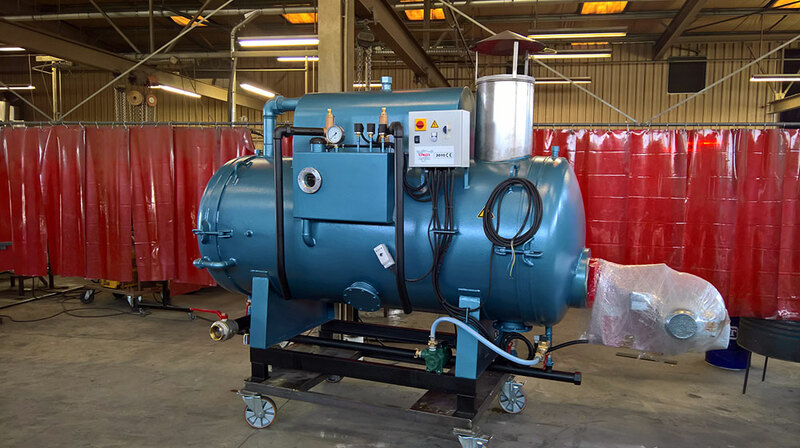 For certain applications, the steam is not superheated but simply saturated (close to the dew point). 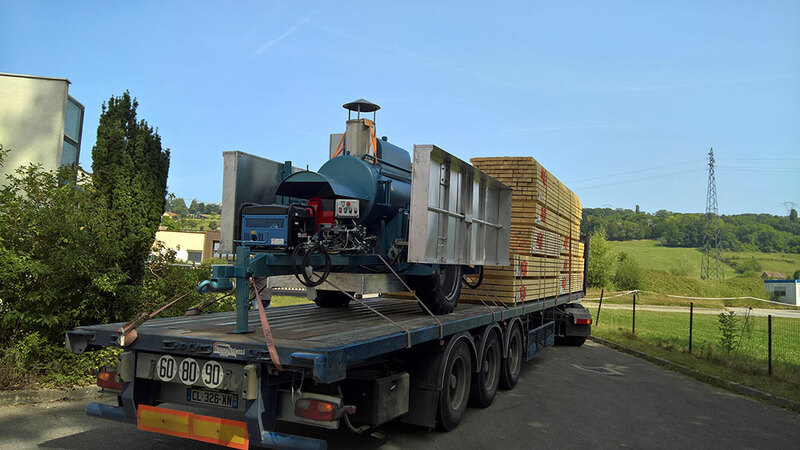 It can be transported by registerable, road trailers (1200 kg). 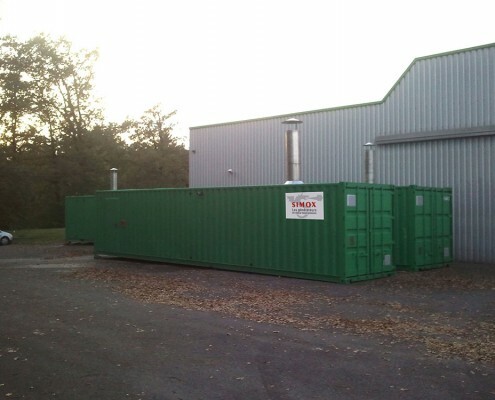 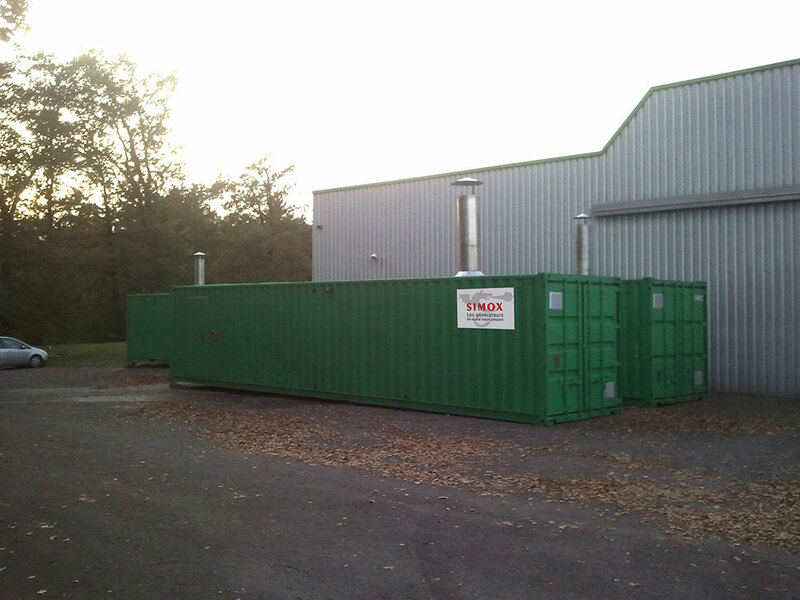 For your work site needs, SIMOX offers an on-site container solution with all that is necessary for producing warm concrete, for example. 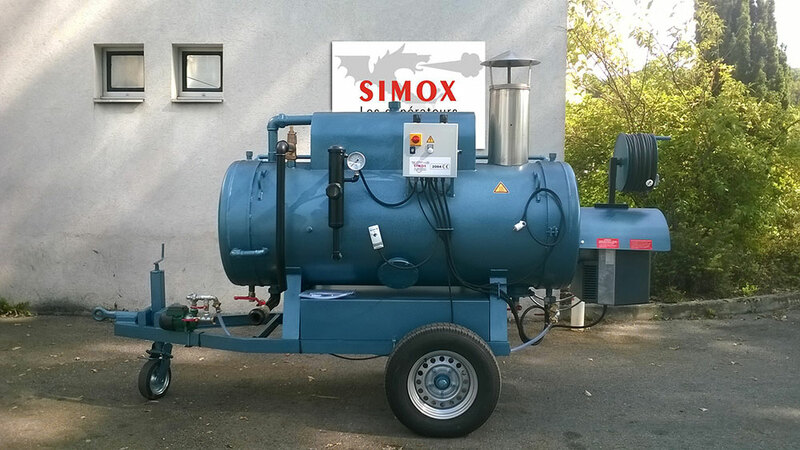 In order to propose the best solutions for our customers, SIMOX offers different sized and powered low-pressure steam generators. 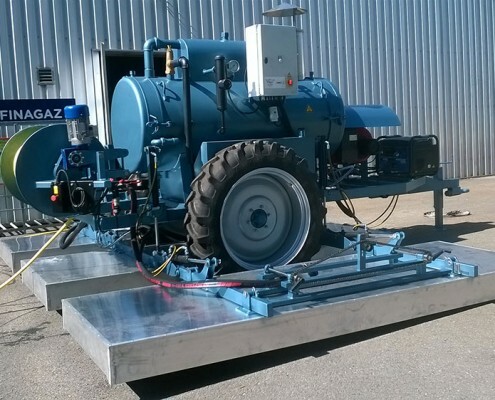 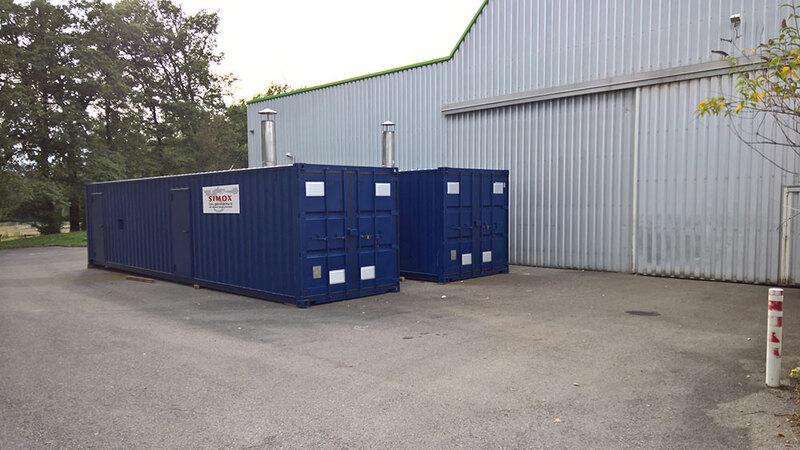 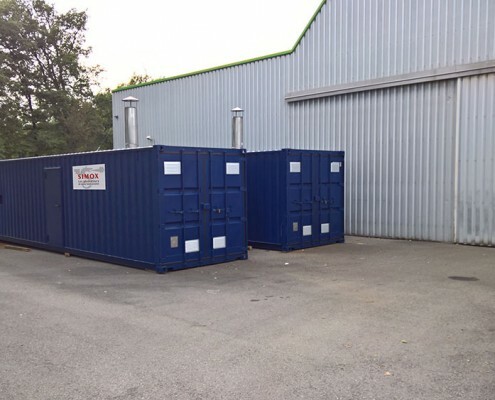 The standard product range of generators is delivered with industrial burners for domestic fuel or gas (propane, methane, or local gas mains). 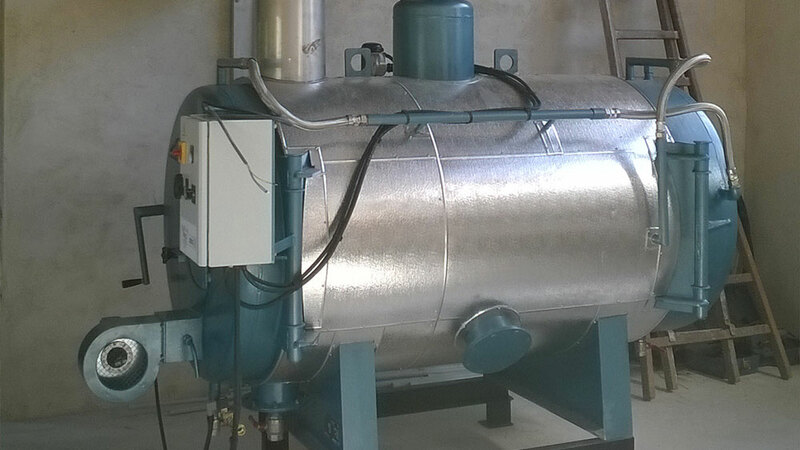 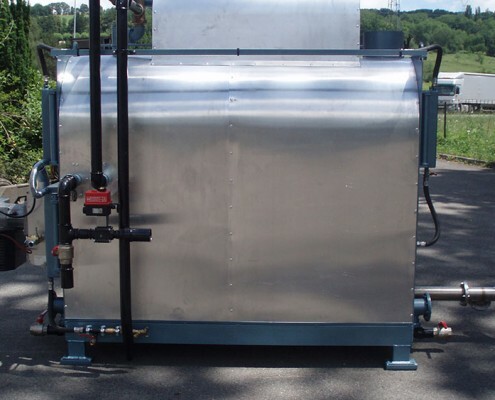 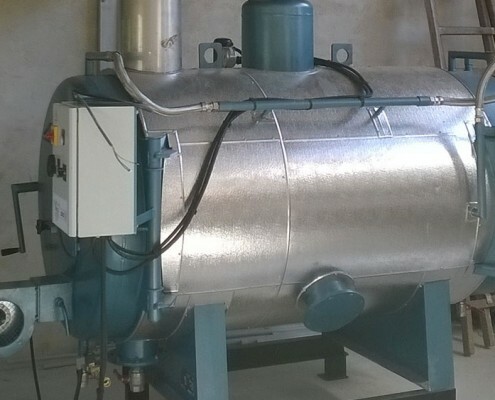 In the past several years, we also offer solutions with burners for vegetable oil or used (filtered) cooking oil, and also used motor oil (hors EU).